Nintendo revealed an odd addition to the Wii U Wednesday by showing off a Google Maps app complete with Street View for the system. Nintendo President Satoru Iwata demonstrated the app during a Nintendo Direct video conference, tinkering around with Street View displayed on the GamePad's screen while a TV showed an overhead map view. Using the GamePad's accelerometer, users can move the controller 360 degrees around their body to see in every direction while navigating Street View. It's also possible to project the Street View image on a TV while still looking around by moving the GamePad. The video demonstration, shown to fans in Japan, was surprisingly smooth, without any noticeable lag between moving the controller and what was shown on the GamePad screen. The Street View function on Wii U was inspired by the upcoming Wii U Panorama View app. Panorama View was first shown as a tech demo at E3, letting users similarly get a 360 degree view of scenes and videos. A full version of the Wii U Panorama View app is due out in spring 2013, offering scenes such as a guided tour of London atop a double decker bus or a ride through Kyoto in a rickshaw. It will be available free for the first two months in Japan before bumping up to an unspecified price. Nintendo simply said it will be a paid app in the U.S. and U.K. without specifying how much. 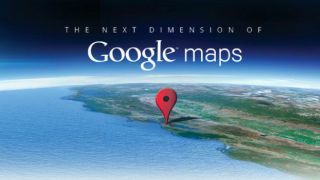 Google Maps will arrive on Wii U in the first quarter of 2013, with the Japanese version promised by the end of January. No pricing details have been announced, so it is still unknown whether Google Maps will be a free or paid app when it releases. After all every tablet needs a map function, and the Wii U GamePad is vaguely tablet-like, even if it can't be used more than 25 feet from the console (or less if walls are in the way).